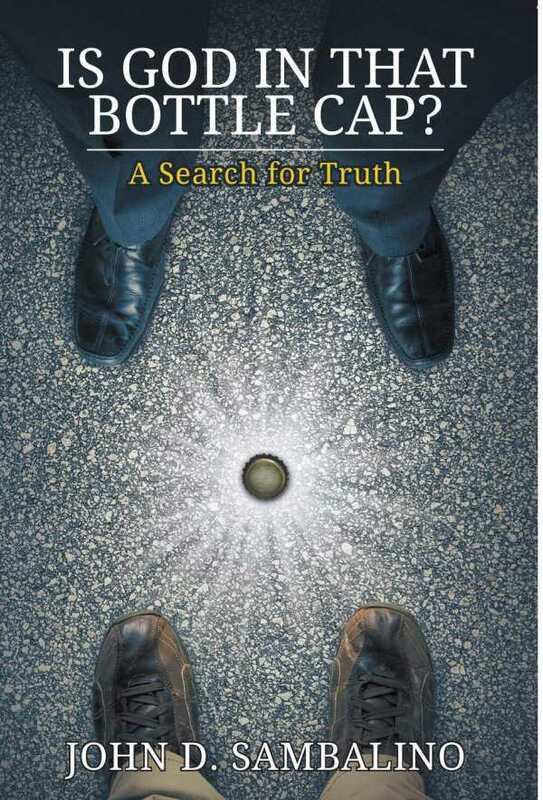 An open-minded search for meaning that covers much literal and metaphysical ground, Is God in That Bottle Cap? is a compelling and interesting text. John D. Sambalino’s mystical Is God in That Bottle Cap? deftly mixes elements of a memoir and a religious thought project to capture a lifetime spent seeking ultimate truth. The book is divided into two sections. The first explores Sambalino’s lifetime pursuit of enlightenment, including his forty-plus years of meditation, his work with various gurus, and his study of alternative meditative modalities and techniques. The second part of the book describes what he learned from these pursuits, including about self-help through meditation and the place of religion in his life. It includes suggestions for further reading and exploration. The book draws heavily on knowledge from the world’s religions, including Buddhism, Taoism, Christianity, and Hinduism. Sambalino’s deep examination of his experiences conveys much, including how it physically feels to have flashes of enlightenment. The rest of Sambalino’s life is largely ignored, though, with only passing references made to other members of his family and his work life. Most clear when it comes to Sambalino’s own quest for enlightenment and the internal changes it brought, the book describes him finding a clarity of purpose and an evolving sense of space and time. It also covers his struggles to internalize complicated sets of mantras and rhythms. It stumbles most when it attempts to glean more general lessons from these experiences, moving from the personal to the general; it relies on metaphors and fables, some of which are very familiar, to make its more universal points. The connections feel forced at times. The text’s exploration of meditation from a self-help perspective is useful. Its commentary on religion is less so, lacking the same sort of sweeping gaze that made the first section so interesting. The two-part organization showcases the variety of Sambalino’s work and studies, and includes biblical sources and teachings from various gurus, mixed with travel writing about trips to places in India and the Far East. Citations and a brief suggested reading list bolster this sensibility.